The Wind Pool isn’t a recreation area embellished by artificial billowing air but an association established by the state Legislature that offers an important and sometimes difficult-to-purchase insurance option to property owners along the South Carolina coast. 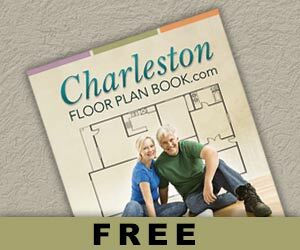 A similar entity in North Carolina is known as the Beach Plan. The South Carolina Wind and Hail Underwriting Association, created in 1971 and expanded in 2007, provides coverage for wind and hail damage for homes and businesses along the coast. The good news for homeowners is that the Wind Pool, an association of insurance companies, offers expanded coverage for wind and hail damage. The bad news is that the insurance might be a bit pricey because coastal areas are more susceptible to whimsical weather patterns that spawn hurricanes and other dangerous storms. Well aware that insurance companies were unlikely, unable or unwilling to write policies for structures within striking distance of the unpredictable Atlantic Ocean, the South Carolina Legislature in 1971 required the industry to make wind and hail coverage available to homes and businesses along the coast. 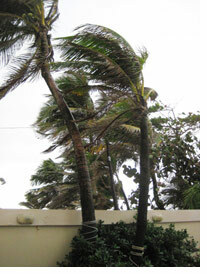 The Wind Pool was expanded in 2007 after a spate of hurricanes and the threat of more had many insurance companies looking for ways to do away with wind coverage altogether. While almost anyone who owns property along the coast can purchase wind and hail insurance from the association, consumers might find broader coverage at a better price elsewhere. In fact, the association recommends that homeowners try standard insurance first, using the Wind Pool as a market of last resort. Although some homeowners were both surprised and dismayed by a recent hike in their insurance rates, the South Carolina Department of Insurance anticipates that the increases will be tempered over time. As additional companies write wind insurance, the rates will become more competitive, says Smitty Harrison, executive director of the South Carolina Wind Pool. “We’re that safety net for anyone who needs insurance and can’t get it elsewhere,” Harrison says, pointing out that The Wind Pool currently shelters nearly 46,000 homes and businesses under its umbrella of protection. The 2007 legislation did more than simply expand the number of property owners eligible to deal with the Wind Pool. The law also provided grants, more than $3.6 million so far, and tax breaks for people who retrofit their houses to give them a better chance to survive hurricane damage. 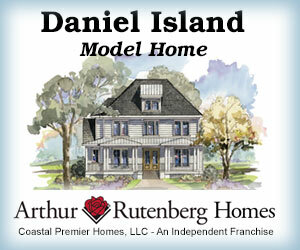 Established as the Hurricane Loss Mitigation Program, S.C. Safe Home provides matching grants of up to $5,000 for homeowners who upgrade their roofs and add shutters, exterior doors and new windows. These upgrades can lower insurance premiums and, as a bonus, decrease energy costs. The residential property must be the primary legal residence of the owner, must have an assessed or insured value of $300,000 or less and must be inspected by a wind certification official. Low-income homeowners are eligible with no matching requirement. The credits are retroactive to 2007. According to Ann Roberson, spokesperson for the South Carolina Department of Insurance, the Palmetto State is leading the way in addressing the issue of obtaining insurance for coastal residents. The Wind Pool reform law includes several key points for homeowners. For example, residential coverage is limited to $1.3 million for houses, mobile homes or condominiums, including contents and loss of use. Businesses can be insured for up to $2.5 million, which may include loss of business income. Many houses along the coast are vacation homes, but replacement cost coverage is available only for primary residences and only those that meet certain conditions. If the house was built after 1950 and is covered by flood insurance, you can request replacement cost coverage for the home but not for the contents. 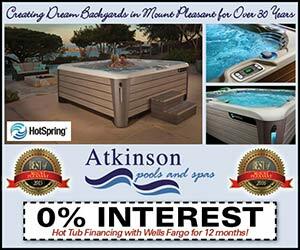 The Wind Pool offers deductibles ranging from 2 percent to 10 percent. The association requires a 15-day waiting period before a Wind Pool policy takes effect. “If there’s a storm brewing in the Atlantic, the insurers won’t write a new policy,” Roberson explains. The South Carolina Department of Insurance recently put together an intensive training session in North Charleston to explain the Wind Pool legislation. Some people are confused about the law, Roberson explains, possibly because it took from 2007 until 2009 to get all the pieces in place. The bill provides an income tax credit for the costs incurred to retrofit your legal residence to make it more resistant to loss from hurricanes, rising water or other catastrophic wind-related events. The credit for a taxable year is limited to 25 percent of the total costs incurred or $1,000, whichever is less. The legislation includes an income tax credit of up to $1,500 for state sales or use tax you pay to buy materials to fortify your home. The law offers an interesting option for homeowners who choose high deductibles for their homeowner’s insurance – a special savings account for emergencies. The money earns interest that is not subject to state income taxes while it is in the account or when it is used for qualified catastrophic expenses, those incurred through a major disaster declared by the governor to be an emergency. The Wind Pool director offers some advice for people thinking about moving to the beach. For example, you should bring your patio furniture inside when a storm is imminent, and you should keep your tree limbs trimmed so a fierce wind won’t turn them into dangerous projectiles. And don’t utilize gravel to landscape your yard or pave your driveway. “Those pieces of gravel are bullets that hit the house and the windows,” Harrison says. He adds that since garage doors are prone to collapse in high winds, you might think about installing supports on the inside. Shutters also offer good protection from debris. 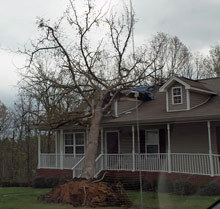 The bottom line, he says, is that the better the house is maintained, the better it will survive a storm. For more information on the South Carolina Wind Pool, call (803) 779-8373 or visit www.scwind.com. North Carolinians who can’t buy property insurance anywhere else can turn to the N.C. Insurance Underwriting Association, known more commonly as The Beach Plan. Predating South Carolina’s Wind Pool by two years, The Beach Plan was created in 1969 to cover property on the barrier islands adjacent to the Atlantic Ocean. The General Assembly later expanded the plan, offering wind and hail coverage in all 18 coastal counties, effective July 1, 2003. In July 2009, the House of Representatives voted to approve a measure designed to re-establish the Beach Plan as a market of last resort. If it is approved by the Senate and signed by the governor in its current form, the bill will cap at $1 billion the liability of private insurers for any shortfall in Beach Plan funds. Several companies had stopped writing homeowner’s policies in the state because they were subject to huge Beach Plan losses. The bill, HB 1305, authorizes insurers to add a fee of up to 10 percent – a so-called “catastrophic assessment recoupment” – if the Beach Plan incurs a deficit that exceeds their $1 billion responsibility. The assessments would kick in only if the Beach Plan surplus was exhausted after a major storm. Under HB 1305, coverage would be limited to $750,000 for residential property and $3 million for commercial property. The Beach Plan is managed by a staff of insurance professionals independent of any single company. All property and casualty insurance companies that do business in North Carolina participate in funding the plan and sharing losses and profits. 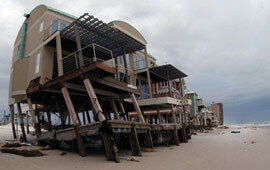 To be insured under the Beach Plan, homes must meet basic safety and code standards, and an inspection is required. 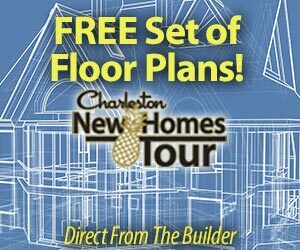 Any property built after Jan. 1, 1970, must have been constructed in compliance with North Carolina building codes. As with South Carolina’s Wind Pool, property owners often can get broader coverage at a better price in the standard insurance market. According to Raymond G. Farmer, American Insurance Association Southeast assistant vice president, insurers are pleased with the new bill. Liz Reynolds, Southeast state affairs manager for the National Association of Mutual Insurance Companies, expresses similar support. “A stable, solvent Beach Plan with a balanced approach to sharing financial responsibility for paying claims following a hurricane is important to everyone. While this is not a perfect bill, we have a golden opportunity to make far-reaching, long-term changes to improve North Carolina’s coastal insurance market for property/casualty insurance companies and consumers throughout the state,” she comments. For more information on the North Carolina Beach Plan, visit www.ncjua-nciua.org/html/svcs_cov.htm and see the NCIUA – COASTAL PROPERTY INSURANCE POOL (CPIP) section.